UNIS Hanoi Class of 2017 is the graduating class of the United Nations International School of Hanoi in 2017. As we graduate, each and every member of our Class would like to give back to Vietnam. Together we chose VietDreams and the Clean water system for Phu Da Elementary School project in Hue. 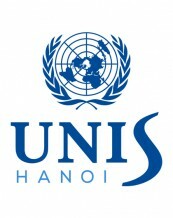 The United Nations International School of Hanoi (UNIS Hanoi) is an international school in Hanoi, Vietnam. It is a private, non-profit organization founded in 1988 with the support of the United Nations Development Programme in Vietnam (UNDP). Classes range from pre-school to high school, and the IB Diploma is available to students in grade 11 and 12. Raising fund for Phu Da Elementary in Phu Vang Hue, 381 students.